Thank you for taking the time to provide your valuable feedback about your experience at MTI Physical Therapy by answering the questions in this short survey. We look forward to reviewing your feedback, which will help us continue to provide the best possible level of service to our patients. * 2. At which location did you receive services? * 4. What year (or years) did you have treatment? PLEASE GRADE MTI PHYSICAL THERAPY IN THE FOLLOWING AREAS WITH A GRADE OF "A" REPRESENTING AN EXCELLENT EXPERIENCE AND AN "F" REPRESENTING THE WORST EXPERIENCE. * 14. Was your billing statement easy to understand? * 17. I would recommend MTI Physical Therapy to others. * 18. 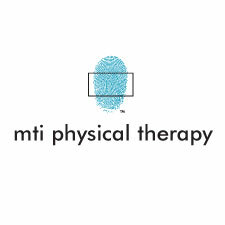 What did you like best about your experience with MTI Physical Therapy? * 19. What can we do to improve your overall experience? * 20. Can we share your comments online or in print? Yes, and you can include my first name and last name initial. Yes, please post my comments anonymously. No, please do not post my comments publically.